Fangirls, we’re all pretty aware of my intense disdain for Superman, right? No? Well, let me tell you; I hate that stinker because he’s too good. I’m a Bat-fan; I prefer the angst that comes with justice far more than the “I must save everyone” nonsense that Superman has got going on. 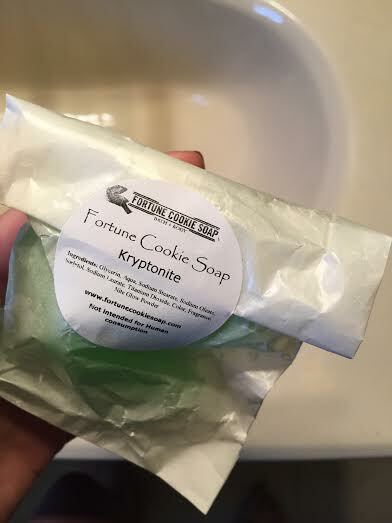 So when I saw that Fortune Cookie Soap has a Kryptonite soap, I jumped on that SO quickly. A soap guaranteed to keep that dude away? Take my money. As soon as I picked up the package, I could smell the soap inside. The smell of apple was overwhelming, and I was honestly a bit worried that it would transfer too much onto my body when I used it, and that bummed me out. Luckily, all that worrying was for naught. 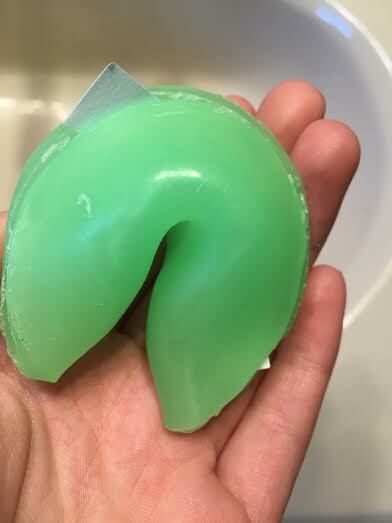 The first time I used the soap I was still a bit nervous that I would be wearing the strongest apple scent known to mankind, and I wasn’t really about that. But after my first shower, I was really excited to learn that it only left a slight hint of apple on my skin, and left me incredibly soft. Heck yeah. This was my first time buying a FCS soap that wasn’t just a sample, and I loved it. I bought the bath gift option (because the bar soap was sold out), and I wasn’t sure what to expect with it. 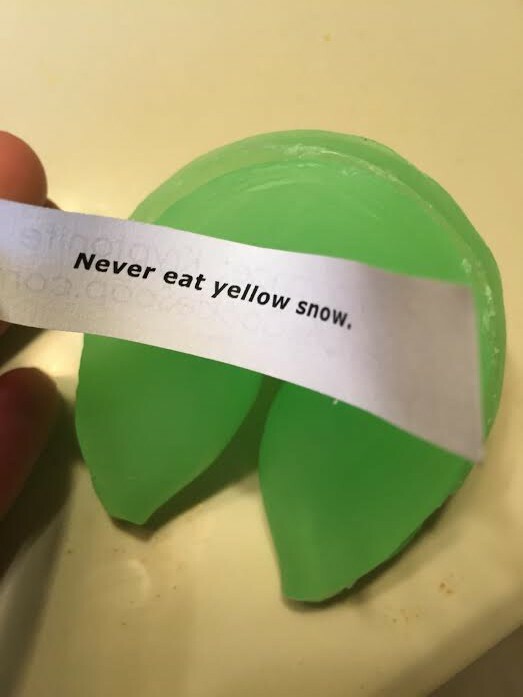 I found that the size and shape were perfect; the fortune cookie shape fit perfectly in my hand, so I could rub Kryptonite all over, so Superman definitely knew to stay away from me. Also, the soap lasted a month, which kind of surprised me. If you Fangirls are looking for something to give your Bat-Fan friends (who also loathe Superman) a present, grab this! It’s a neat soap that smells absolutely divine, and should keep any not-so Super guys at bay. Plus, it glows in the dark. The bath gift Kryptonite can be purchased here. The bar soap Kryptonite can be purchased here.